Is 2019 the Year CTV Advertising Becomes More Than Just a Buzzword? Last year we saw a significant rise in the adoption of OTT (over-the-top) streaming by consumers worldwide, with over 70% of households in the US with a broadband connection availing of OTT services. 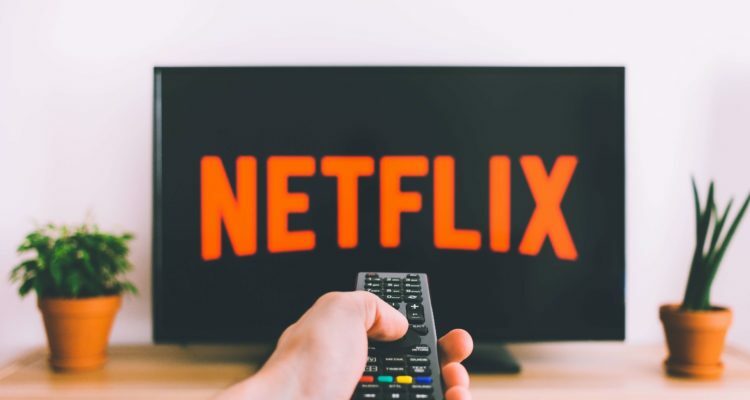 The big three OTT providers (Netflix, Amazon Prime Video and Hulu) increased their subscribers considerably in 2018 and continue to dominate the market today. ‘Over-the-top’ basically refers to TV/video content that is delivered via the internet as a subscription, rather than through traditional cable providers. Connected TV (CTV) is the device with an internet connection where users avail of this video content via applications. For example; smart TVs, OTT TV boxes, and gaming consoles such as PlayStation and Xbox. Connected TV is predicted to be “the next big thing” for advertisers and in November last year, video-first SSP Beachfront reported that ad requests for CTV had increased by a whopping 1,640% from November 2017. Another buzzword still floating around is Addressable TV, which is the process in which advertisements are delivered to different people who are watching the same show. These ads can be targeted for both on-demand and live TV programming. CTV and OTT continue to grow rapidly and Oath’s Brett Hurwitz argues that “as more and more TV is delivered over IP, it will become increasingly addressable”. 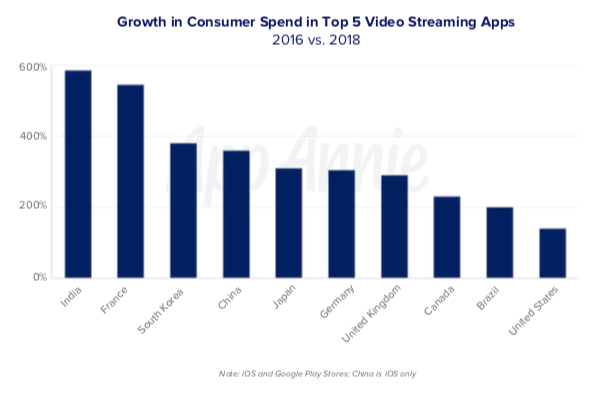 AppAnnie reports that “consumer spend in the top 5 video streaming apps exploded in 2018” and although this revenue was primarily driven by subscription costs, it shows the major potential for advertisers to generate revenue from an ultra-targeted booming source. 2018 also saw CTV video advertisements out-performing mobile as “the screen on which the most digital video impressions were served”. How Do Video Ads Work on CTV? Connected TV ads are served before and during content, also known as ‘pre-roll’ and ‘mid-roll’ advertising. This mid-roll advertising mirrors what consumers are used to viewing with traditional TV and is “perceived to be the most popular and effective type of advertising”. Because the viewer doesn’t object to this ad type as much, it has the potential to be a serious contender for advertisers with a focus on video. Amazon has been experimenting with ads on its CTV platform Fire TV where advertisements “run inside streaming-TV apps similar to how they do on Roku”. This opens up the potential to advertise to a “captive audience” as it is reported that viewers “tend to be more committed to the content they choose to watch on connected TV”. What Challenges Does CTV Advertising Face? Today, there remains no ‘universal measurement system’ for CTV advertising so it makes it difficult for advertisers to understand how much of an impact their CTV investments made. However, advertisers need to make use of the metrics that are available to them and “demand transparent, third-party measurement” of impressions, engagement and completion rates. In turn, publishers must be ready to “embrace the potential for rich targeting, analytics, and attribution on their inventory”. The idea that CTV ads are ‘fraud-free’ is simply a myth, with Pixalate reporting that marketers could stand to lose up to $10 billion per year in OTT ad spend by 2020 due to ad fraud within the Connected TV ecosystem. It is argued that video inventory supply must remain premium as “the market could be diluted by cheap inventory” and result in a loss of control from suppliers. The demand for CTV inventory is growing every day and the team here at PubNative agrees that almost everyone who is interested in video advertising is talking about CTV. As streaming becomes more and more popular, advertisers will have more opportunities for their needs to be met, but just how long will it take to successfully measure CTV? It’s likely that 2019 will be a defining year for Connected TV advertising, but it may take that bit longer for the industry to define and agree on a specific system of measurement.